We expect our iPhones to keep up with our busy lifestyles and sense of urgency. But from extended use and old age, our iPhones can slow down and leave us frustrated from less-than-stellar performance. There are many reasons why your phone isn’t running as fast as it used to. Some are quick to blame a slowing device on a phenomenon known as “bit rot”. Bit rot happens when processors, modems, and storage modules physically age and begin to deteriorate which worsens their performance. However, if you’ve purchased your device within the past few years, the chance of bit rot slowing it down is slim to none because the device is still relatively new. Luckily, there are less complicated and easier to manage reasons for your device slowdowns. If you’re suffering from a slow iPhone, the good news is that there are some tips and tricks you can try to bring your mobile device back up to speed. Most of these options are found in the Settings app, while another option actually requires you to take your iPhone into Apple for service. That sounds daunting, but it might be well worth your time! Follow our tips on the next slides to help you get the most out of your aging iPhone. Push notifications are a great way to get updates from your favorite social media, news, and podcast apps. They provide you with quick bites of information on your lock screen to identify activity in your apps. Plus, if your iPhone has 3D Touch capabilities, you can often interact with these notifications right from your home screen. Then visit each app to alter your notification type, or turn them off completely, to help reduce strain on your iPhone’s processor and battery. If you’re still running an older iOS version, your iPhone will definitely be slower. 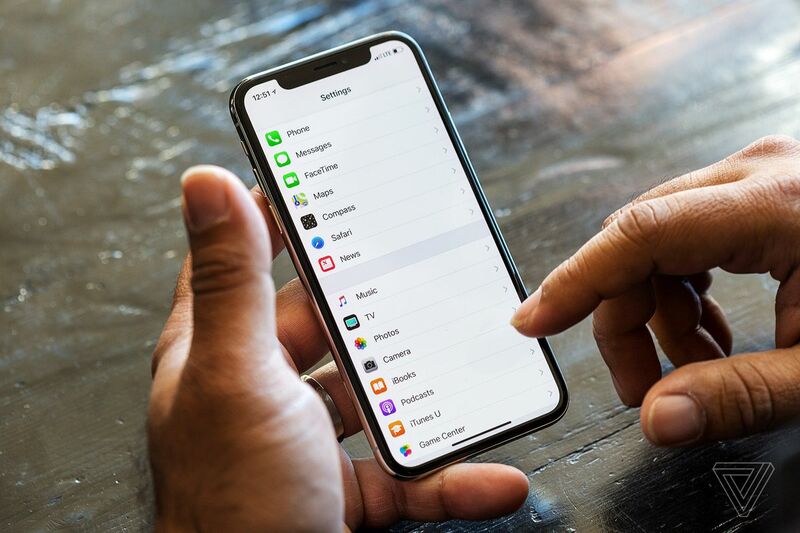 Newer iOS versions are optimized for speed and also deliver newer features, like the recent beta version of Battery Health. Even iOS 12 (which will be released in the fall of this year) has proven to help speed up older iPhone models. And although iOS 12 hasn’t been officially released, beta versions are available for testing. If you would like to install a beta version of iOS 12 on your device, you can find instructions on how to do it here. If you have many apps, photos, videos, and text messages saved on your phone, then there’s a chance that you could max out your device’s storage, especially if you have a 16GB iPhone. And while it can be tempting to live on the edge and only clean up your storage when notified, this can actually slow down your phone. Utilize the suggested storage cleanup options available in Settings > General > iPhone Storage. These suggestions include deleting old text messages, offloading unused applications, and other tips for increasing storage. Cookies are temporary internet files that store bits of data that sites store on your device; and if they accumulate over time, they can directly impact your device’s storage and speed. This is also true of other temporary internet files like images and website features that get stored in your cache. Background App Refresh is a setting in iOS that automatically refreshes open applications in the background to keep your feeds and app information as current as possible. Depending on how many applications are open (and how many are being refreshed), this could dramatically slow down your iPhone. Your iPhone battery is limited to a certain number of charge cycles. Over time, a poor battery can slow down your iPhone. Plus, if you are guilty of some common battery busters, then your device may likely need a replacement battery. Apple provides two battery monitoring options to help you understand whether or not you need to replace your battery. One here, you can view your battery’s maximum capacity. Within Battery, you can also view the apps that consume most of your battery power (represented in a percentage) over the past 24 hours or a 7 day cycle. If you need a new battery, Apple offers a battery replacement program for $29. Tip: Tap an app under Battery Usage to see how much time the app ran on screen and/or in the background. Probably the most drastic of the suggestions on this list, a full restore requires you to fully and completely reinstall your iOS. Before considering or performing a restore, be sure that your device has recently been backed up. This way, you will not lose any information currently stored on your phone. iCloud Backup. Here you will see the last successful backup date. You can click Back Up Now to start backing up your device to iCloud. Opting for a full restore can help remedy a host of issues and could aid in speeding up your device as well. Learn how to restore your iPhone here. Try out some of these tips and tricks to help get your iPhone back up to speed. If you’ve come across additional tips, let us know in the comments!